Kanye West is an artist who by hard work and generational talent has earned the right to make whatever record he chooses. And this is exactly what he did with Yeezus, which officially was released on June 18th, after a conspicuously closed promotional campaign of music video projections on buildings around the world, no album pre-orders and a #dark Saturday Night Live performance. The influences on this record are notably diverse, and West does little to not wear them blatantly on his sleeve. 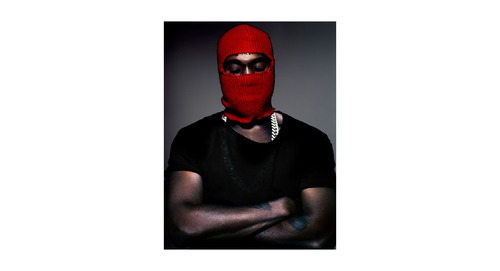 A marked shift from the symphonic maximalism of 2010s My Beautiful Dark Twisted Fantasy to a Rick Rubin molded minimalist take on hip-hop through the lens of EDM, house music and punk (ala Suicide and Bad Brains), Yeezus is the work of a bleakly angry Kanye, one that is perhaps grimly unrecognizable to the joke-cracking, teddy bear sweater clad producer of just a decade ago. It also features heavily the dubbed out dancehall vocals we first heard on “Mercy,” and equally echoed voice of Bon Iver’s Justin Vernon - both features which serve more to obscure the meaning of language, to make speech an instrument, than to be sweetly (if urgently) entertaining in the vein of West’s early career soul samples. Allowing Chief Keef to play his best crooner on “Hold My Liquor” and the placement of the relatively unknown King L on “Send It Up” mark a clear directional shift back to Chicago for West, away from his MBDTF star-studded aesthetic. There are remnants of the early Kanye dispersed in the midst of the Yeezus wasteland - a pitched up Nina Simone (made somehow more menacing by the distortion of her deep register), a coyly imploring Brenda Lee, and a truly uplifting Ponderosa Twins Plus One sample shine momentary light into the album’s final half - a bleary, hungover drudge through the fallout of a post-Dark Twisted Fantasy West’s headspace, seemingly still adrift amongst the nightlife, the loss of his mother and the birth of his first child. Kanye is clearly seeking to explore the black experience in America as he views it from the pinnacle of celebrity, a theme that has marked the periphery of his canon since “All Falls Down.” Where Kanye falls in the scope of black social critique, theological and otherwise, remains tentative. Cornel West and James Cone are glimpsed, I think, in the ideological background. Curtis Mayfield and Gil Scott-Heron inform equally the smoothness, the humor, and the fury. Talib Kweli, Mos Def, Dead Prez are easy hip-hop touchstones and compatriots. I think that this is, in a way true to Kanye, both an adequate expression of the egoistic, materialist braggadocio that makes up a core tentant of rap lyrically, but also can be seen as an acceptance of a certain epistemological privilege - without an ethic and lost among his own fame, he still finds his “God name,” Yeezus. Whether West’s intentions with this album are merely provocation or not, for these themes to be explored at all in an album that sold nearly 500,000 copies in its first week is a point for renewed conversation, especially in light of SCOTUS’ recent gutting of the Voting Rights Act. Have we, as a society, come so far that the Civil Rights movement, that Cone’s fiery theological writing of the 1970s, that the systematic imprisonment of millions that Cornel West calls the “New Jim Crow” are not still clear indicators that America is anything but “post-racial”? Yeezus is the first step in Kanye’s defining of his own intellectual legacy and, I believe, his place in the broader conversation of race in America. My Beautiful Dark Twisted Fantasy confirmed him as one of the greatest musical artists of his generation, but this and his coming work will place that musicality in the grander context of what it means not only to find success, but the moral obligations of how to use and wield that power in a meaningful and productive way.